WASHINGTON — If President-elect Donald J. Trump wanted a cabinet secretary who could help him dismantle and replace President Obama’s health care law, he could not have found anyone more prepared than Representative Tom Price, who has been studying how to accomplish that goal for more than six years. 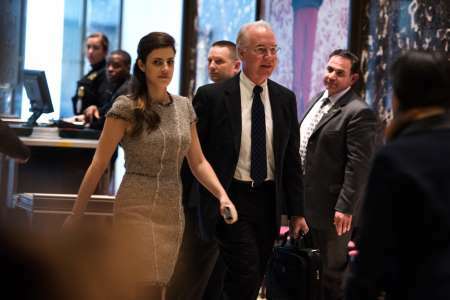 Mr. Trump has picked Mr. Price, a six-term Republican congressman, to be secretary of health and human services, Mr. Trump’s transition team announced Tuesday morning. In debate on the Affordable Care Act in 2009, Mr. Price railed against “a stifling and oppressive federal government,” a theme that pervades his politics. His most frequent objection to the law is that it interferes with the ability of patients and doctors to make medical decisions — a concern he will surely take with him if he wins Senate confirmation. “The practicing physician and the patient could not have a better friend in that office than Tom Price,” said Representative Michael C. Burgess, Republican of Texas, who is also a physician. Mr. Price, the chairman of the House Budget Committee, said he felt events had borne out his warnings about the health law. “Congressional Democrats and the Obama administration blatantly ignored the voices of the American people and rammed through a hyperpartisan piece of legislation that will have a disastrous effect on our nation’s health care system,” Mr. Price said shortly after Mr. Obama signed the bill in 2010. As secretary, Mr. Price would be responsible for a department with an annual budget of more than $1 trillion, health programs that insure more than 100 million Americans, and agencies that regulate food and drugs and sponsor much of the nation’s biomedical research. He has introduced legislation that would make it easier for doctors to defend themselves against medical malpractice lawsuits and to enter into private contracts with Medicare beneficiaries. Under such contracts, doctors can, in effect, opt out of Medicare and charge more than the amounts normally allowed by the program’s rules. Mr. Price’s intimate knowledge of Medicare could serve him well. Paying doctors and regulating their work are among the most important responsibilities of the secretary of health and human services. The government is carrying out a big new law that changes how doctors are paid under Medicare, and Medicare often serves as a model for private insurers. On the other hand, as secretary, Mr. Price would need a broader perspective. He would have to consider not only the interests of doctors, but also the needs of Medicare beneficiaries, Medicaid patients and taxpayers who finance those programs. Mr. Price is a strong conservative who invariably excites the audience at the annual Conservative Political Action Conference. His website lists him as a member of the Tea Party Caucus. His district includes territory once represented by Newt Gingrich, a former speaker of the House. But Mr. Price is no bomb thrower. He works within the system and has led two groups that promote conservative policies in the House. Born in Lansing, Mich., Mr. Price went to college and medical school at the University of Michigan, did his residency at Emory University in Atlanta and was medical director of the orthopedic clinic at Grady Memorial Hospital in Atlanta. He says he got into politics because he found that officials in Washington and Atlanta who had no medical training were making decisions that affected his ability to take care of patients. In a similar vein, he complained this year that Obama administration officials were trying to “commandeer clinical decision-making” by forcing doctors to participate in experiments that test new ways of paying for prescription drugs, hip and knee replacement operations, and heart surgery for Medicare patients. The Affordable Care Act, Mr. Price says, authorized Medicare to test, not mandate, “innovative payment and service delivery models.” When administration officials seemed to minimize his concerns, Mr. Price was taken aback. “Do they not understand, or do they just not care, that millions of real patients’ lives will be adversely affected?” he asked. Mr. Price is also an outspoken opponent of abortion and has consistently received ratings of 100 percent from the National Right to Life Committee and scores of zero from the Planned Parenthood Federation of America. Gay rights organizations have also been sharply critical of Mr. Price. Sarah Kate Ellis, the president and chief executive of GLAAD, formerly known as the Gay and Lesbian Alliance Against Defamation, said Mr. Price had a “hateful record” on issues of concern to her members and was “completely unfit” to be health secretary.